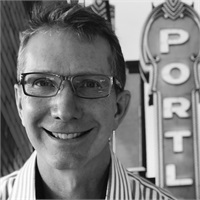 John Magryta has been a team member at CSNW for over 5 years and has worked in the health insurance industry for almost ten. John graduated from Michigan State University and moved to Oregon in 2002 after twelve years enjoying the educational publishing industry. Problem-solving and solution-based interaction is a strong drive when managing creative projects in publishing. This same drive serves CSNW clients well as John refocuses his skills on the individual market. Outside of work, John enjoys trail running, cycling, kayaking, tennis and ping-pong.